With the exception of salt, everything we eat is produced from a plant or from an animal that fed on a plant-based diet. Despite this fact, we understand relatively little about the chemistry of plants or how plant chemistry affects human health. For each piece of a plant contains > 35,000 distinct chemicals, with the vast majority of remaining unidentified and uncharacterized. For perspective, an average cup of coffee has about 8,400 distinct chemicals while a cranberry has about 28,000 and a glass of wine has about 8,600 chemicals (Brown et al. 2012; Turi et al. 2015). For most food plants, only 700 – 1,100 phytochemicals have been fully characterized and we estimate that an average person’s diet contains at least 200,000 unknown phytochemicals per day. Melatonin is an ancient regulatory molecule found in both plants and animals. Over the last 20 years, melatonin has been identified in almost every plant family and in many of the plants we consume as a normal part of a daily diet (Meng et al. 2017). Some examples of plants that contain significant quantities of melatonin include onions, garlic, asparagus, pineapple, banana, rice, ginger, cherries, grapes, walnuts, cranberries, wine, coffee, tea, beer, medicinal plants and herbal supplements (Brown et al. 2012; Meng et al. 2017; Paredes et al. 2000; Murch et al. 2010; Kennaway 2017; Caliskan et al. 2017). These findings stimulated interest in the concept that melatonin in the food and supplements we eat may be affecting our health, with direct impacts on circadian rhythms, insomnia, jet lag, anxiety and psychosis as well as recently hypothesized roles of dietary melatonin in complex diseases such as cancer, cardiovascular disease and neurodegenerative disease. The potential for exposure to an unknown and fluctuating dose of melatonin through food and drink may provide new understandings of complex nutritional studies and chronic health conditions. Sae-Teaw et al (2013) fed a melatonin-rich diet of pineapple, orange and bananas to 12 healthy male volunteers and determined that the serum concentration of melatonin and antioxidant potential of the serum were both increased by the tropical fruit diet. A similar study of 98 healthy women between the ages of 24-55 determined that consumption of a diet rich in high-melatonin vegetables increased circulatory melatonin and the excretion of melatonin metabolites in first morning urine (Oba et al. 2008). Together, the six vegetables consumed in this study provided 1.28 μg of melatonin per day to each of the participants. Iriti and Varoni (2015) hypothesized that the Mediterranean diet which is high in melatonin and other plant chemicals such as carotenoids, polyphenols and glucosinolates may combine for health benefits. 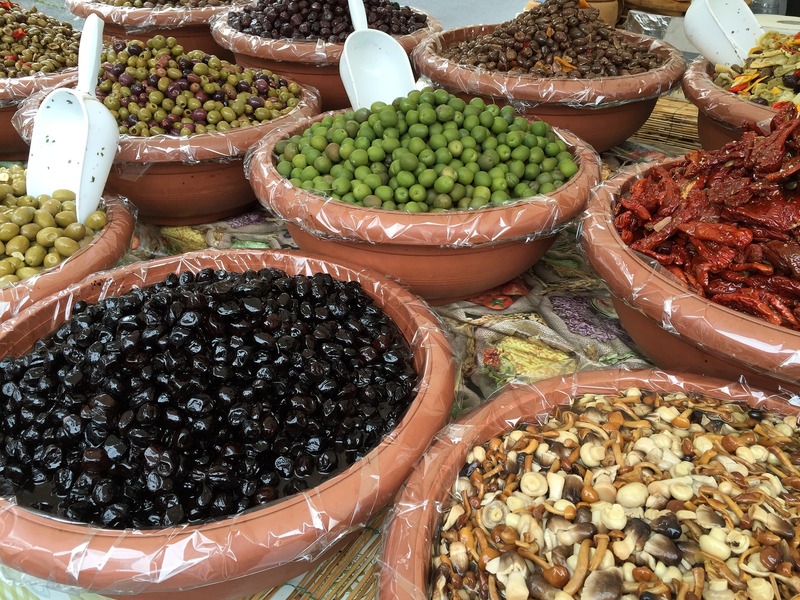 The Mediterranean diet contains many different melatonin sources such as grapes and wine, olive oils, black olives, whole grains, fruits, vegetables, nuts and animal products. The relatively low levels of melatonin in diet as compared to the pharmacological doses, ranging from pg/g to µg/g of plant tissue, makes it difficult to estimate the total consumption in an average diet but several researchers have also hypothesized that there is a potential of interaction of melatonin with other plant flavonoids and antioxidants such as caffeic acid and quercetin (Iriti and Varoni 2015; Jana and Rastogi 2017). Using animal and cell culture studies, these authors investigated the pharmacokinetics of melatonin in a diet that includes other plant chemicals and determined that the liver metabolism of melatonin was inhibited by caffeic acid and quercetin (Jana and Ratogi 2017). The potential for complex interactions between plant chemicals and melatonin-drug interactions has not been fully investigated. Diets are very complex and many factors combine in human physiology and metabolism. Kennaway (2017) argues that there are insufficient studies and questions the interpretation of some of the studies. It is clear that more data is needed to fully understand the importance of melatonin in diets. In particular, the potential roles of dietary melatonin in critically ill patients, patients suffering from insomnia, and patients with neurodegenerative disorders is warranted. Further studies are needed to understand the potential for drug interactions with dietary melatonin through CYP1A and other metabolic degradation mechanisms (Kennaway 2017). Nutritional genomics and differences in the metabolism of dietary melatonin by individuals has not been investigated. Finally, more studies are needed to determine the combined effects of other plant chemicals and dietary factors on melatonin bioavailability, absorption and metabolism. In summary, the field of dietary, nutritional and plant-based melatonin research has grown significantly in a relatively short period and continues to grow exponentially as the ubiquitous presence of this compound is identified in the plant kingdom and as the health benefits of melatonin continue to be explored. Brown P, Turi C, Shipley P, Murch SJ. (2012). Comparisons of large (Vaccinium macrocarpon Ait.) and small (Vaccinium oxycoccos L., Vaccinium vitis-idaea L.) cranberry in British Columbia by phytochemical determination, antioxidant potential, and metabolomic profiling with chemometric analysis. Planta Med 78: 630–40. Çaliskan U, Aka C, Bor E. (2017). Melatonin in edible and non-edible plants. Thai J Pharm Sci 14: 75–83. Iriti M, Varoni EM. (2015). Melatonin in Mediterranean diet, a new perspective. J Sci Food Agric 95: 2355–9. Jana S, Rastogi H. (2017). Effects of caffeic acid and quercetin on in vitro permeability, metabolism and in vivo pharmacokinetics of melatonin in rats: Potential for herb-drug interaction. Eur J Drug Met Pharmacokinet 42: 781–91. Kennaway DJ. (2017). Are the proposed benefits of melatonin-rich foods too hard to swallow? Crit Rev Food Sci Nutr 57: 958–62. Meng X, Li Y, Li S, et al. (2017). Dietary sources and bioactivities of melatonin. Nutrients 9: 367–65. Murch SJ, Hall BA, Le CH, Saxena PK. (2010). Changes in the levels of indoleamine phytochemicals during véraison and ripening of wine grapes. J Pineal Res 49: 95–100. Oba S, Nakamura K, Sahashi Y, Hattori A, Nagata C. (2008). Consumption of vegetables alters morning urinary 6-sulfatoxymelatonin concentration. J Pineal Res 45: 17–23. Paredes SD, Korkmaz A, Manchester LC, Tan D-X, Reiter RJ. (2009). 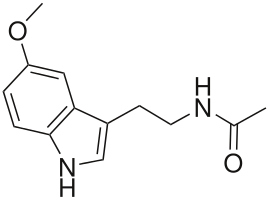 Phytomelatonin: a review 60: 57–69. Sae-Teaw M, Johns J, Johns NP, Subongkot S. (2013). Serum melatonin levels and antioxidant capacities after consumption of pineapple, orange, or banana by healthy male volunteers. J Pineal Res 55: 58–64. Turi CE, Finley J, Shipley PR, Murch SJ, Brown PN. (2015). Metabolomics for phytochemical discovery: Development of statistical approaches using a cranberry model system. J Nat Prod 78: 953–66.